There's no doubt about it, girls really do run the world. From inventors to activists to artists, there are so many amazing stories of women who went after what they wanted, didn't back down from a challenge, and achieved amazing things. These inspiring nonfiction books about women tell some of these stories. Some of these women you likely already know about, like Ruth Bader Ginsburg and Queen Elizabeth II. Others may be new face and stories for you to meet. Some of these women have had their stories masked by history, only for the full truth to come out in these volumes. As you look at all the amazing work women have done over the years, it's easy to see that our world has been shaped by the minds and hearts of some amazing women. We can't actually step into the shoes of history's great women, but with books we sure can get close. Whether you're looking to discover a new heroine, to gain some personal inspiration, or to embark on an intense journey, there's something on here that will float your boat. Girl power! The title says it right there: this book is filled with stories of women who changed history. Scientists, spies, adventurers — each with a matching portrait from Google doodler Sophia Foster-Dimino. Odds are, you'll find your new hero in this book. Vera Atkins fought her way to the top of Britain's Special Operations Executive, a secret service dedicated to build up and aid the resistance in Nazi-occupied territories. When the war ended, Atkins made it her personal mission to find the agents (and in particular, twelve of her personal spies) who went missing behind enemy lines. This story is so thrilling you'll marvel at the fact that it's real. Hatshepsut was the longest reigning female pharaoh in Ancient Egypt. In this enthralling biography, dive into her world as she rose to power, oversaw one of Ancient Egypt's most prolific building periods, and ultimately fell from public favor. 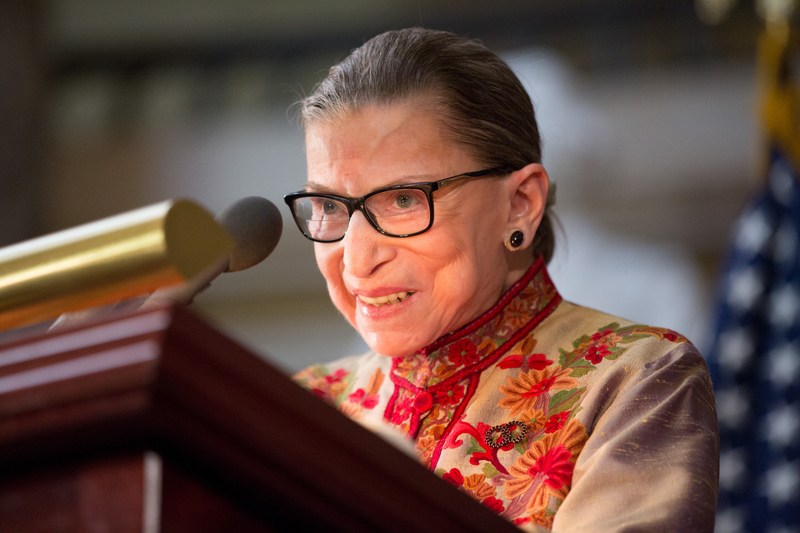 Supreme Court Justice Ruth Bader Ginsburg is endlessly inspiring. This book combines Ginsburg's own writings with historical context written by her biographers to give you a full picture of the Justice's life and career. When Amani Al-Khatahtbeh was 17, she started Muslim Girl, an online hub for Muslim women and their stories. Now Muslim Girl is a force in the media, and Al-Khatahtbeh is a rising star. In this memoir, Al-Khatahtbeh tells the story of her life growing up in post-9/11 America, moving to Jordan, and coming back to the States on a mission to make a difference. This book features interviews with over 100 women who run their own creative businesses, including Roxane Gay, Nikki Giovanni, Abbi Jacobsen, and many others. We hear from a wide spectrum of professions: designers, artists, writers, museum curators, chefs, editors, and more. With gorgeous photographs and compelling interviews, this book gives an amazing look at all the different women who are accomplishing great things today. Carrie Brownstein's memoir is an absolute must-read. A feminist icon in the punk rock world as well as a talented actor, Brownstein details her life as a woman making it in the industry. This awesome book brings out the fight for women's rights and the awesome, powerful women behind it. Take this opportunity to learn about the road to feminism as we look forward to all the work we have yet to do today. If you've been watching Netflix's The Crown, then you know what a veritable badass Queen Elizabeth II is, rising to power as a woman in a male-dominated world at a crucial time in history. This biography pulls back the curtain on the Queen's life, using interviews and never-before-revealed documents to give readers an in-depth look at her life as a royal. In this memoir, artist and activist Molly Carbapple details how she became involved with the Occupy Wall Street movement. A fresh and exhilarating read, Crabapple's story isnt't just about her, but also captures the distinct atmosphere of the Occupy era. In this book, Karen Abbott pulls out the stories of four courageous women during the civil war: Belle Boyd, who used her charms on both sides as a spy for the Confederate Army; Emma Edmonds, who pretended to be a man so she could serve in the Union Army; Rose O’Neale Greenhow, who engaged in affairs with Northern politicians to collect intelligence for the Confederates; and Elizabeth Van Lew, an abolitionist who ran an espionage ring. This book will give you a fascinating new perspective on the Civil War, and introduce you to some truly brave women. From her childhood growing up homeschooled to making her own web series to becoming a leading voice in the nerd community, Felicia Day's life story will amaze, delight, and inspire you. Pro-tip: listen to her read the audiobook, it's fantastic.